AKON is a leading manufacturer of high performance RF/Microwave Components and advanced Integrated Microwave Assemblies and Subsystems for Military, Space and Industrial applications. AKON has extensively researched and developed a product line of low noise (added phase noise and thermal noise) RF amplifiers to be used for front end amplifiers in sensitive receiver systems such as secure communications, ELINT, RWRs and ECM. These low noise amplifiers are available in frequencies to 40 GHz, over customer defined bands. Please contact AKON for further information. 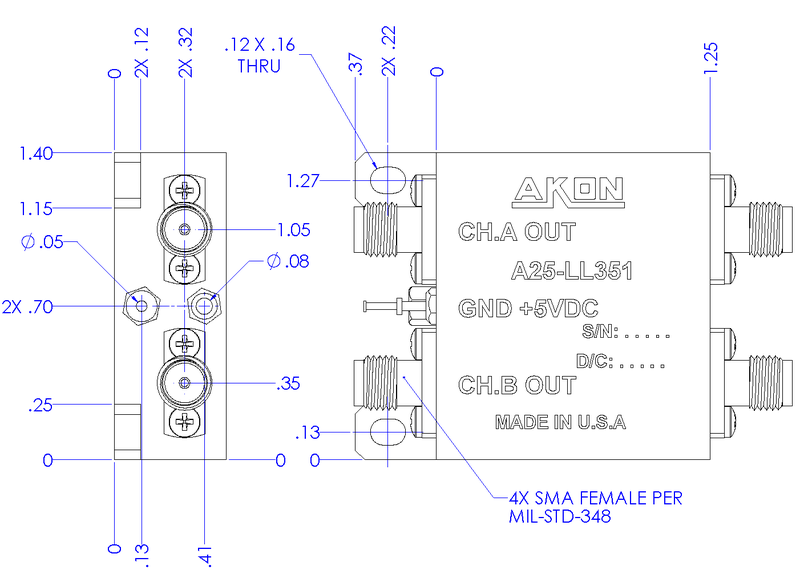 The AKON A25-LL351 is a dual channel low noise amplifier. 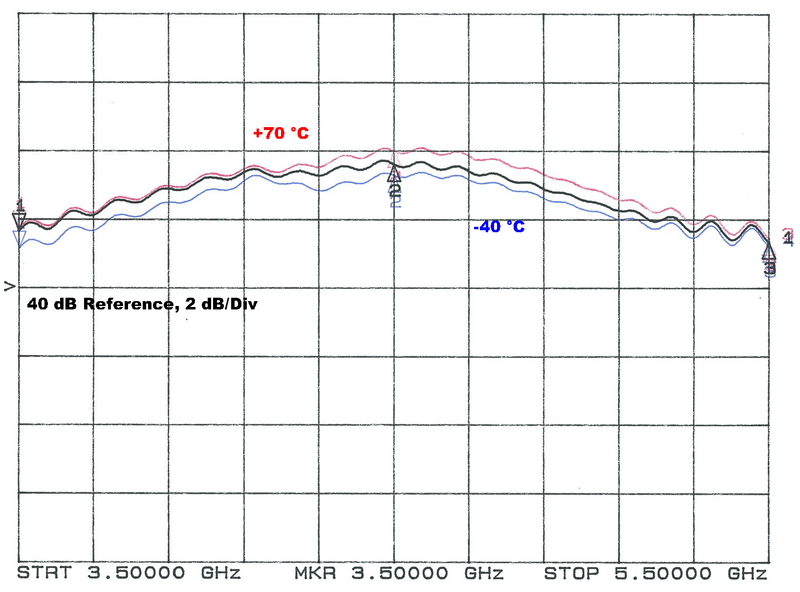 This unit has two independent but identical channels of low noise amplification in a single package. 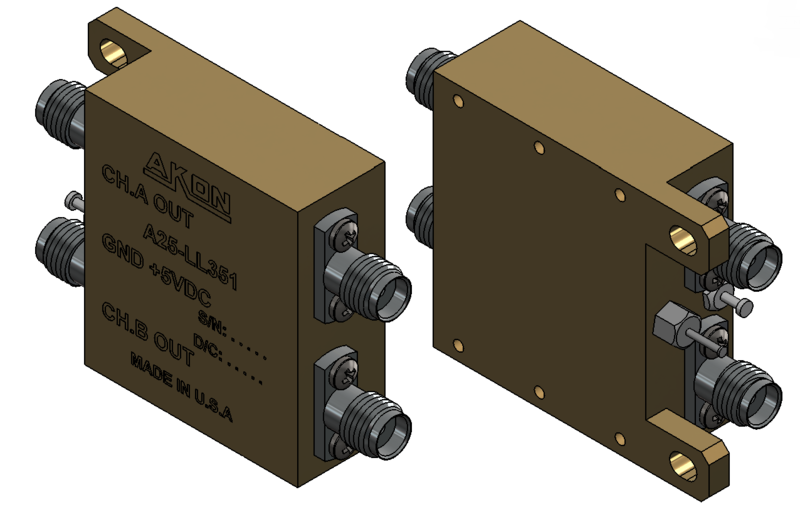 This permits very compact system packaging for receiving systems incorporating dual receive antenna feeds, for example from an antenna with two polarizations. The unit is ruggedly constructed and enclosed in a sealed housing suitable for military applications. Broader band operation is an available option.